Google added a new feature last night to Google Webmaster Tools that really shows you some nice detail on your index status. The report not only shows the number of pages crawled by Google, but breaks them down on the total number of pages crawled that were indexed, the pages that were crawled that were not indexed and the pages that were attempted to be crawled but were blocked. 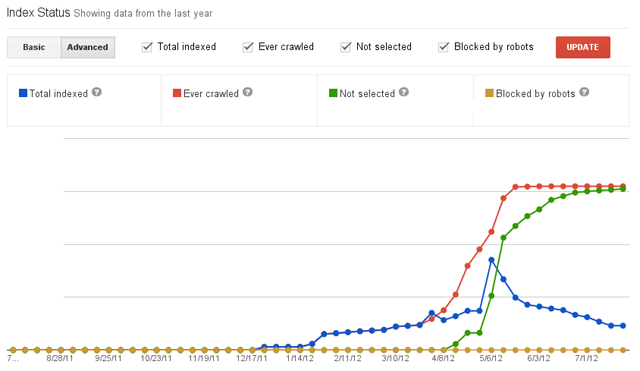 Ever crawled: The cumulative total of URLs from your site that Google has ever accessed. 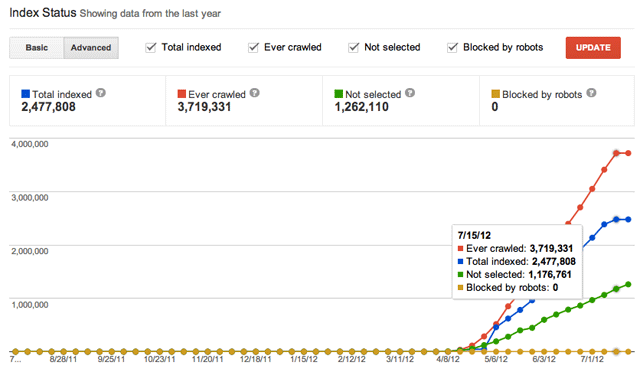 Blocked by robots: URLs Google could not access because they are blocked in your robots.txt file. 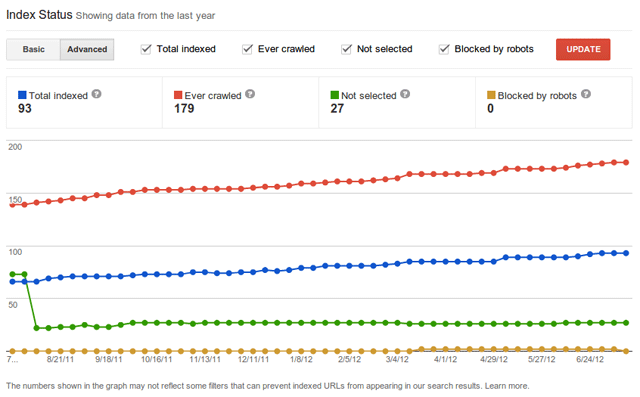 Let me show you what various sites look like in this chart view. This is an outstanding tool and I think many SEOs and webmasters will benefit from it.